Rifled Empires is a wargame for those megalomaniacs who want to refight the biggest battles of the nineteenth century – now Solferino, Gettysburg and Mukden are all within your grasp! The author’s group have played battles of up to 12 divisions in 2 hours. Since the basic unit of measurement is the venerable “base width”, representing about 500 yards, any scale of figure can be used, from 2mm brigades at 1:1 to single-based 42mm or 54mm figures for that old-school look. 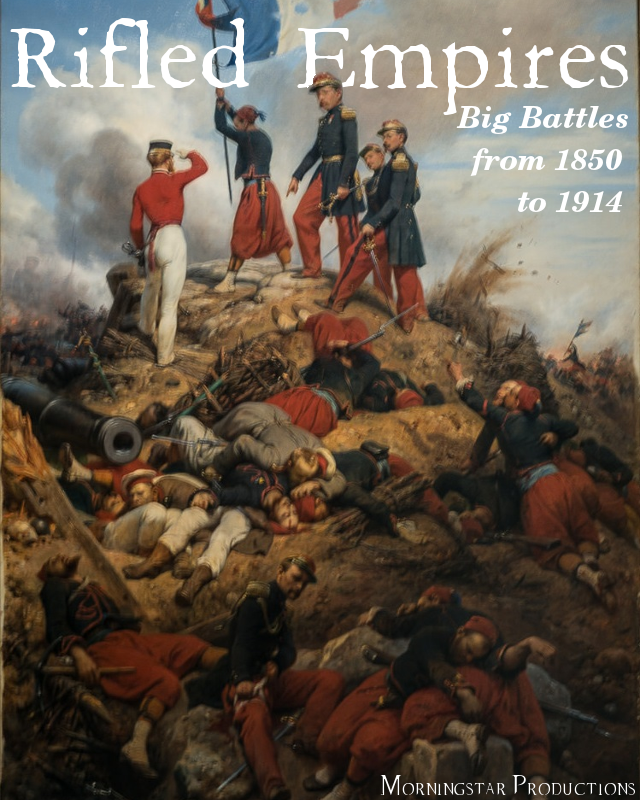 From the trenches of the Crimea to green fields of France, Rifled Empires lets players play the biggest battles between the greatest powers of the world. Morningstar's Tactical Two Pager games are a series of simple but engaging games filled with fun and flavour. Each one takes up only two sides of easy-to-print A4, eliminating the need for a quick reference sheet and providing our players with a cheap source of entertainment.